Chelsea is fascinated by what makes a good city great, and a great city even greater. Chelsea’s interest in urban planning began during her undergraduate studies in architecture, observing how the built environment not only impacts the beauty and function of a city, but also how the ways people access and interact with those places make a community thrive. Her planning career focuses on transportation planning and public engagement. Chelsea truly enjoys working alongside community members and leaders to develop plans and projects consistent with a community’s vision. As a Senior Associate with TEI, Chelsea brings nearly a decade of experience working in planning for both the private and public sectors. Chelsea provides expertise on pedestrian and bicycle planning, transportation planning, grant writing, funding identification, and consensus building. She strives to stay versed in best-in-class policies to impact the built environment. 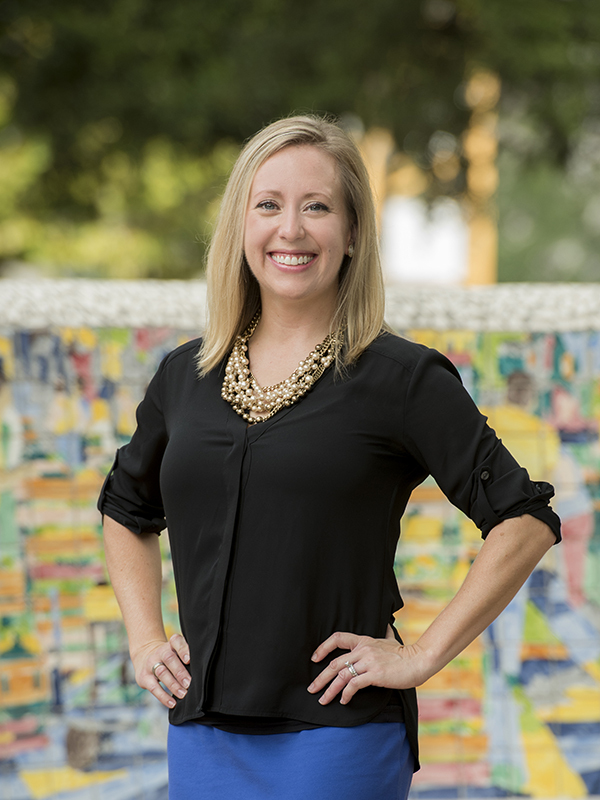 Chelsea earned a BA in Architectural Studies from The University of Kansas and a MS in Community and Regional Planning from The University of Texas at Austin, where she focused on multi-modal transportation solutions. Chelsea has enjoyed living in the Houston area for ten years, and is continually re-impressed. She loves exploring this multifaceted region including the variety of restaurants (of course! ), the music and fine arts scene, live sports, and the great outdoors including hiking, running, biking, and the occasional stand-up paddle boarding. Chelsea enjoys quality time with her husband and two toddler girls, riding bikes, running, and seeking fun new outdoor family activities.